Recent years, Pu'er tea has been more and more loved by the tea drinkers around China and also becoming more popular among the western countries. As all the tea leaves originated, Pu'er also comes from the same tea plant which is Camellia Sinensis. 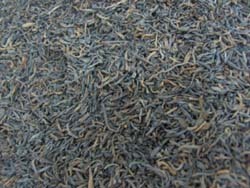 It is an ancient and classic tea which loved a lot by the people of south west of China and is highly respected by the whole nation in recent years. The processes that go into making the classic pu'er tea are strictly guarded secrets for centuries. It is an after fermented tea which is compressed into hard cakes or bricks for delivery, storing purpose in the ancient times and is the only kind of tea with which the value goes up along with its aging. The longer Pu'er aged the better the tea becomes. Years and years of fermentation endues the Pu'er tea with silky mouth feel and very typical mellow aroma. Pleasant red brown tea color, storing experience, special and simple ways of brewing, makes it a very homey and mysterious experience way of life. After all Pu'er Tea in China is highly respected for its wide health benefit known as tea for long life especially favors in reducing cholesterol, helping digestion, cleaning fat, and weight loss which was getting proved by more and more medical testing. From the tea home town China, Yun Nan, bearing with a beautiful name "tea of Xi Shuang Ban Na", growing in the nurished high land, Pu'er is a typical tall tree rich leave tea containing full of nutrients and ancient Chinese culture, lead you to a healthy & harmonious life.